The index is a significant innovation in its field that measures multiple indicators of empowerment, and generates metrics that can be compared over time. It is the first tool of its kind. Piloted in 2011 and launched in February 2012, the US government is using the index to track change in women's empowerment that occurs as a direct or indirect result of Feed the Future interventions in targeted geographic zones within the initiative's 19 focus countries. Data for the WEAI will be collected every two years in all 19 countries, and baselines were collected in 2011 and 2012. 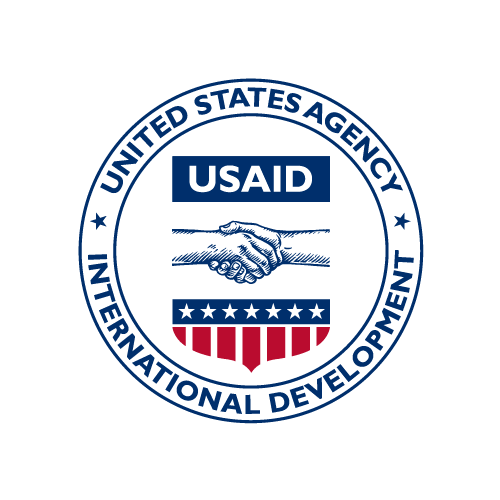 USAID and partners will conduct data analyses to understand the relationships among empowerment, livelihoods, and food security, as well as relationships among the various components of the index. Feed the Future will also use the WEAI for impact evaluations of distinct projects to examine the effectiveness of different approaches and how they impact women and men. To protect the personal information of respondents, all personally identifiable information was removed. The data used for the proof of concept were drawn from a survey in Bangladesh available on this platform. In the process of migrating data to the current DDL platform, datasets with a large number of variables required splitting into multiple spreadsheets. They should be reassembled by the user to understand the data fully. This is the second spreadsheet of three in the Feed The Future Interim Population-Based Assessment of Cambodia, Module E1-07, Quantity of Food Consumed that Came from Other Sources. In the process of migrating data to the current DDL platform, datasets with a large number of variables required splitting into multiple spreadsheets. They should be reassembled by the user to understand the data fully. This is the third spreadsheet of three in the Feed The Future Interim Population-Based Assessment of Cambodia, Modules H-I, Anthropometry and Food Consumed by Children. The Rwanda Population-Based Survey (PBS) provides a comprehensive assessment of the current status of agriculture and food security in almost the entire country, including all four provinces and all of rural Rwanda. This is an individual dataset with all women with a completed interview in Module H of the questionnaire. The Rwanda Population-Based Survey (PBS) provides a comprehensive assessment of the current status of agriculture and food security in almost the entire country, including all four provinces and all of rural Rwanda. This dataset is a household-level file with records for each sampled household with a completed interview. This dataset captures data describing the members of each household from the first interim assessment of Feed the Future’s population-based indicators for the ZOI in Cambodia. The ZOI is the Pursat, Battambang, Kampong Thom, and Siem Reap Provinces. The sampling design called for a two-stage cluster sample. In the first stage, 84 villages were selected; in the second stage, households were selected within each sampled village. The sampling of villages was stratified by province, with the number of villages in each stratum proportional to the population in the stratum and with villages selected with probability proportional to size, based on the 2013 Commune Database. The data is split into survey modules. Modules A through C includes location information, informed consent, and the household roster. Module D includes household characteristics. Module E is the expenditures module broken up into 8 different parts. Modules F and G include the hunger scale data and WEIA index data. Data in modules H and I include mother and child dietary diversity. In the process of migrating data to the current DDL platform, datasets with a large number of variables required splitting into multiple spreadsheets. They should be reassembled by the user to understand the data fully. This is the second spreadsheet of three in the Feed The Future Interim Population-Based Assessment of Cambodia, Module E1-06, Quantity of Food Consumed Produced at Home During the Last Week. In the process of migrating data to the current DDL platform, datasets with a large number of variables required splitting into multiple spreadsheets. They should be reassembled by the user to understand the data fully. This is the second spreadsheet of five in the Feed The Future Interim Population-Based Assessment of Cambodia, Modules F-G, Hunger Scale and Women's Empowerment.